In our newest community, The Grove at Fenwick Island, your dream vacation becomes your everyday reality. This community is a place where you can truly sit back, relax, and enjoy the fresh air and ocean breeze. The motto at The Grove is “Live more, beach more…” because your life here is both easy and elegant. 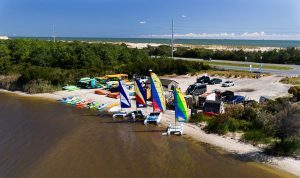 From free beaches, to low HOA fees and taxes, you truly get to experience what it means when they say “the best thing in life are free.” Check out our top picks for summer activities for you and the family to enjoy on the gorgeous Fenwick Island! Standing at 87 feet, this spectacular lighthouse that was built in 1858 is certainly a sight to see. 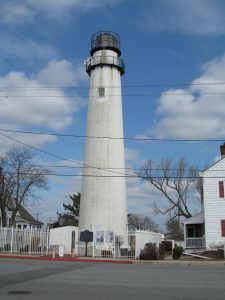 A landmark of the Delaware coast, the Fenwick Island Lighthouse is a staple of the town! Stroll around the beach and marvel at the beauty of the lighthouse while you relax and unwind. As one of the island’s most popular outdoor destinations, Northside Park is a great place to take your children or grandchildren. This large complex is equipped with full sports field and walking and jogging paths, as well as an incredible gymnasium with room for just about every activity imaginable! 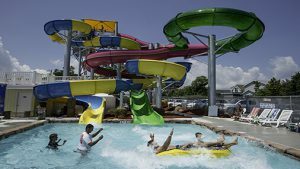 A prime place for fun with the kids or grandkids, Viking Golf & Thunder Lagoon Waterpark is the perfect way to spend your day. Indulge in a little friendly competition with a challenging 18-hole golf course, experience thrills with go-karts, and make a splash at the waterpark! Delicious food and amusements are in abundance! 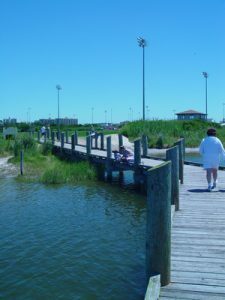 See Fenwick Island like you never have before! Rent a kayak, stand-up paddleboard, or sailboat, and float away as you experience the beauty of this magnificent island. The perfect new activity to try, you’re sure to fall in love with getting on the water! There’s nothing like the magic of a good old fashioned boardwalk. 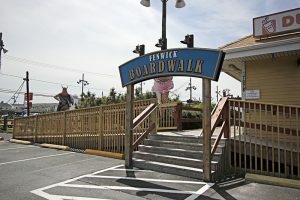 Relive your greatest childhood memories on the Fenwick Boardwalk, where you’ll enjoy funnel cake, boardwalk fries, and delicious ice cream just like you remember! Soak up the sun and feel the magic of the summer. Spend your days on the free beach without a worry (or a beach tag checker) in sight! Our McKee Builders team is ready to walk you through the process of moving into your dream home at The Grove at Fenwick Island. For more information on The Grove, please visit our website, or give us a call at 215-791-6948.